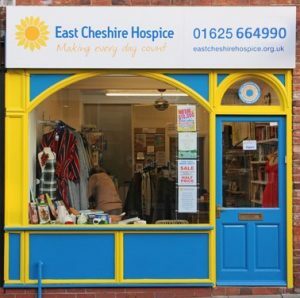 East Cheshire Hospice has three warm and welcoming shops which rely on the generosity of our volunteers and the community who donate and buy our high-quality goods. Each shop plays an important role in generating much-needed income for patient care. 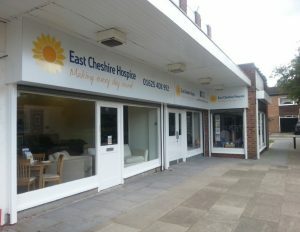 Our Chestergate, Macclesfield shop has a wide range of general donated goods. 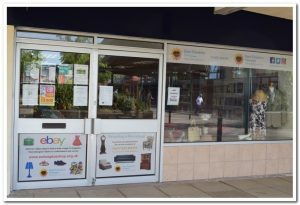 Our shops at Thornton Square in Macclesfield and our new shop in Handforth both specialise in second hand furniture alongside goods you might normally associate with a charity shop. Make sure that you are following the shops on Facebook for information and posts about the items for sale! Want to donate goods to our shops? We are always grateful for any donations of clothes, accessories, books, DVDs, bric-a-brac etc. Please bring your donations to any of our shops. If you are a UK taxpayer we can claim an extra 25% in Gift Aid from HMRC on the value of the items you donate to our shops at no extra cost to you. This means for every £10 worth of Gift Aided goods sold we are able to claim an additional £2.50 from the taxman, making your donation go further. Please ask about signing up to Gift Aid when dropping goods off at our shops. Other ways you can help by shopping!